When you can choose to work anywhere, where will you choose to work? One of the great questions that hangs over workers in the new era of boundless work is this: When you can choose to work from anywhere, where will you choose to work? It’s not just a question for the growing army of workers who find themselves unfettered from the traditional times and places of work. They will naturally choose to work in the places they feel make them most productive and happy, which nurture their wellbeing and chime with their values. 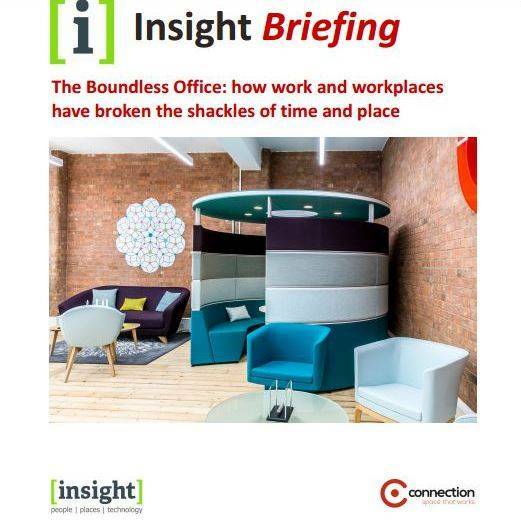 The challenge for the owners and the occupiers of offices is to create the working environments that will draw people to them. This is particularly important for those organisations with strong cultures who understand the role that physical presence plays in nurturing creativity and the way people exchange information, such as tech and creative firms. The terms of this conundrum and its possible solutions are the themes of our new briefing, produced in partnership with Connection. You can see it here.